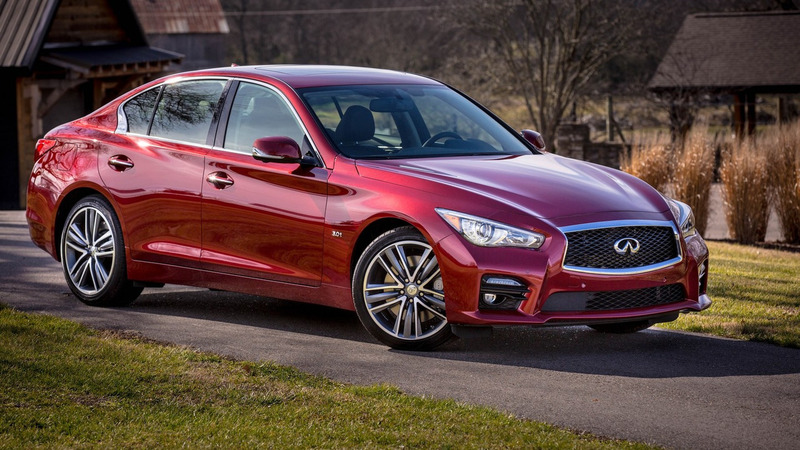 Currently on sale, the entry-level Q50 2.0t features a new turbocharged 2.0-liter four-cylinder engine that produces 208 horsepower and 258 pound-feet of torque. It is connected to a seven-speed automatic transmission which can be paired to an optional all-wheel-drive system for an additional $2,000. Besides featuring a new engine, the entry-level variant comes nicely equipped with LED headlights and 17-inch alloy wheels. Drivers will also find eight-way power front seats, aluminum trim, and a six-speaker audio system. Other highlights include leatherette upholstery, a dual-zone climate control system, and an Infiniti InTouch infotainment system. 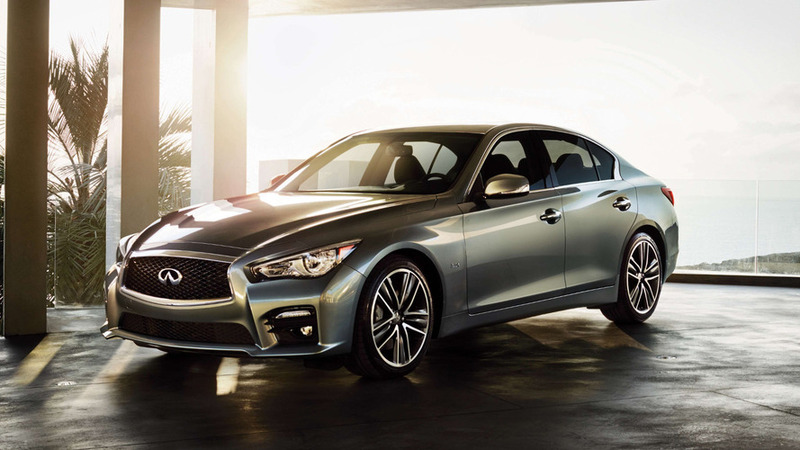 Moving up to the $37,650 Q50 2.0t Premium adds an assortment of features including a heated steering wheel and a power moonroof. The model also gains a HomeLink universal transceiver and a 14-speaker Bose audio system. Buyers looking for something more eco-friendly can opt for the Q50 Hybrid Premium which starts at $47,050. It features a hybridized powertrain that consists of a 3.5-liter V6 engine, an electric motor, and a compact lithium-ion battery. This setup enables the car to produce a combined maximum output of 360 hp. 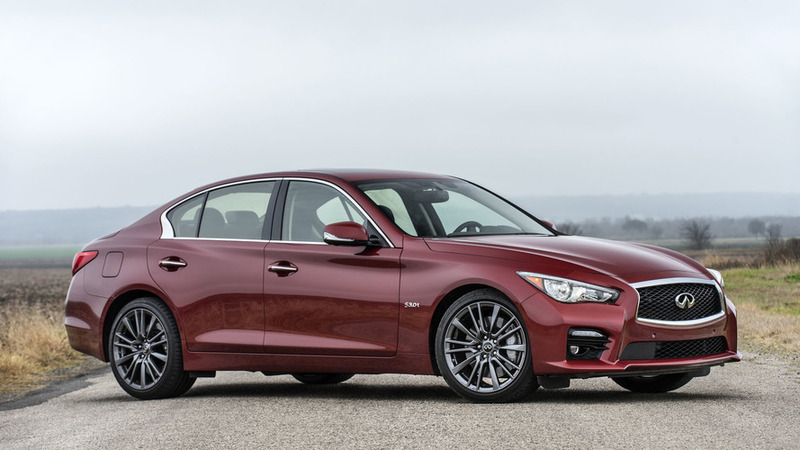 The model is more powerful and fuel efficient than the Q50 2.0t but the Q50 Hybrid comes standard with front-wheel drive instead of rear-wheel drive. However, customers can order an optional all-wheel drive system for $2,000.